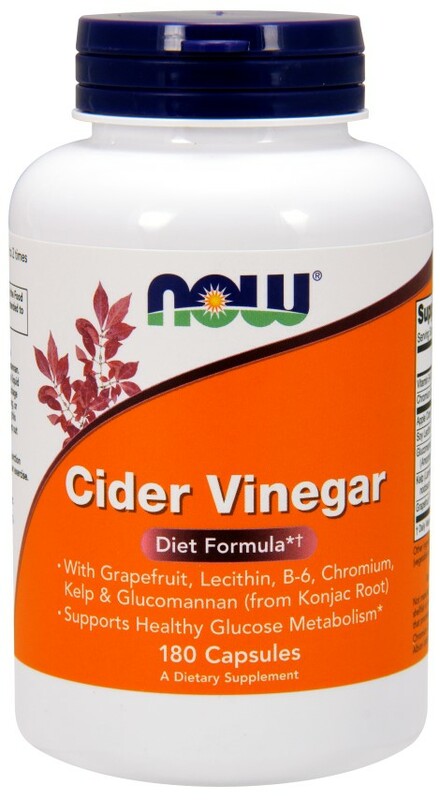 This combination of Apple Cider Vinegar, Kelp, Lecithin and B-6 is a time-tested formula used by millions in the U.S. for decades. NOW has reintroduced this proven combination and added powdered Glucomannan, a fibrous tuber, Grapefruit Fiber and chelated Chromium for synergistic support. Suggested Usage: As a dietary supplement, take 1 or 2 capsules up to 3 times daily with meals as needed, or as directed by your healthcare practitioner. Consider taking this product in combination with NOW- L-Carnitine, CLA and LipoTrim. Take plenty of water with this product in conjunction with a temporary, reduced-calorie diet.